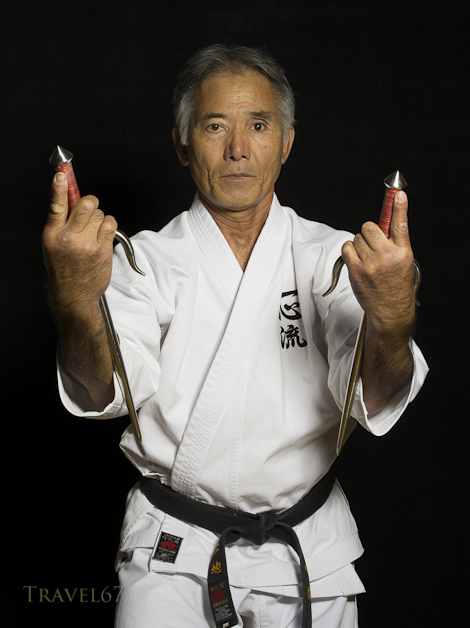 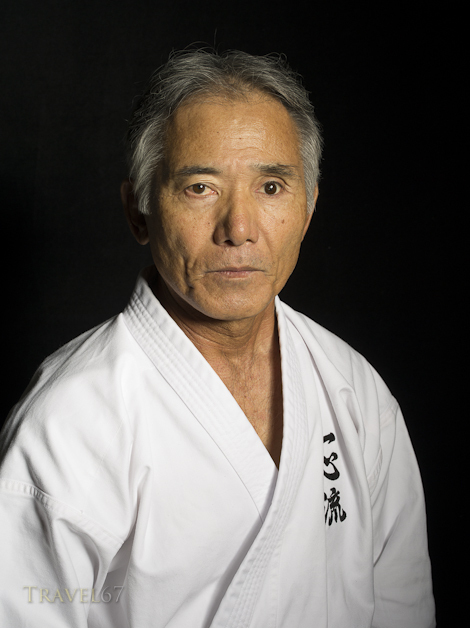 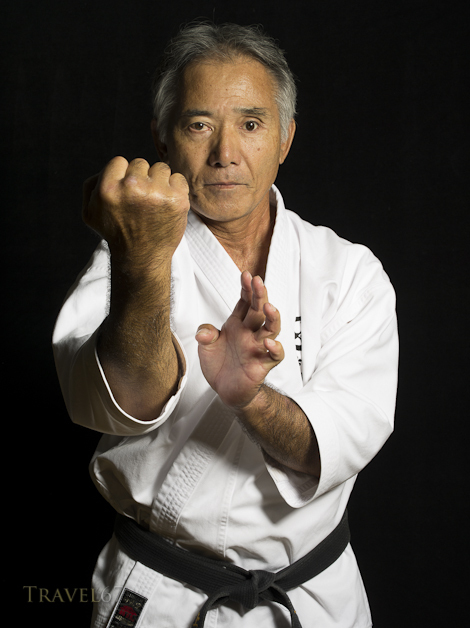 Tsuyoshi Uechi, 8th dan master of Isshinryu karate. 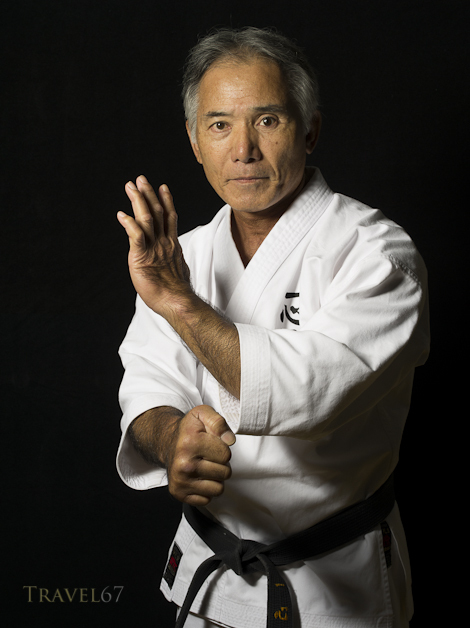 We photographed him at his dojo in Okinawa City. 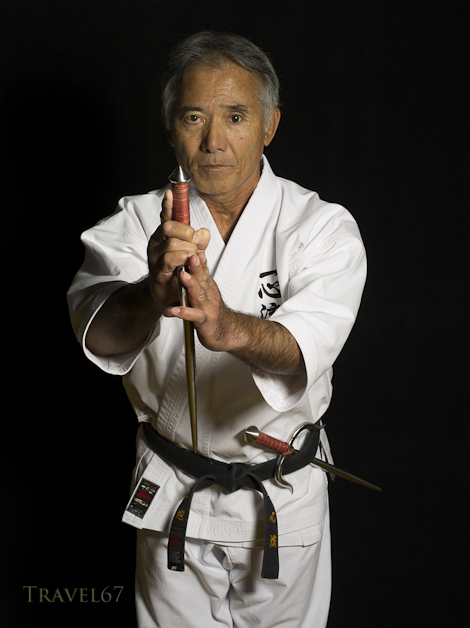 His preferred weapons for kobudo are sai, which as you might expect, he wields with complete control.